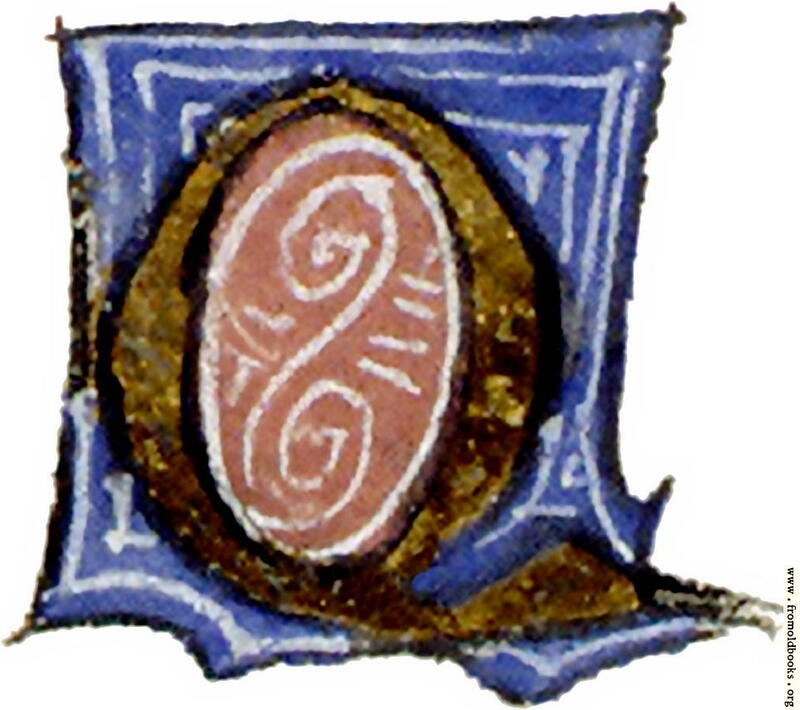 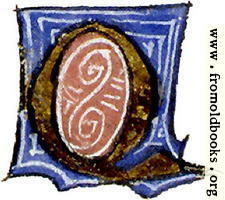 A richly decorated capital letter “Q” from an illuminated manuscript made in 1414. It is coloured in red and blue, with black outlines and gold leaf. It is from the verso (back side) of folio 4 of the book.